"Everyone has a plan until they get punched in the mouth?" 1. Multiple attackers. If the attack is coordinated, you are facing the highest likelihood of all that you will be taken down. NO martial art prepares you for dealing effectively with committed multiple attackers, who in some cases have a pre-planned assault intended to put you down. 2. Bad terrain. 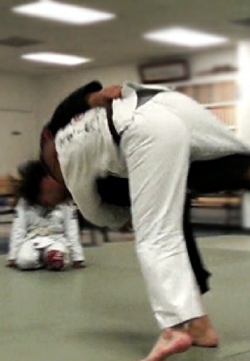 Training on mats gives you a completely unrealistic sense of balance and footing in actual fighting. Its still useful, and far safer to train on mats most of the time, but things change dramatically in a fight in everyday living environments, where curbs, debris, excrement, vehicle fluids, planters, chairs, tables, that little lip where the sidewalk has been pushed up by roots, the slightly wet soles of your shoes, that divot in the grass that you just stepped in, etc. etc. etc. 3. Surprise. People, especially martial artists, are very generous with themselves when it comes to awareness skills and the ability to not be taken by surprise. The dojo ain't real life. Most average, middle class people (to include martial artists) have little understanding of the dynamics of violence outside of news and entertainment media and the dojo (in fact the dojo is often counterproductive to real defensive skills without considerable re-wiring). On the street, they are either caught by surprise with a sucker shot, or are momentarily stunned that "this is actually happening" and lose valuable time and maneuver opportunities in the face of an attack. That can and does translate to getting knocked down, or simply falling down. Returning to the earlier comment: most fights don't end with one punch, but a great deal of them do end up with someone getting knocked to the ground and repeatedly booted in the head or ground and pounded. Here’s an example which is common amongst martial artists with little or no resistive training or real fight experience. The cooperative or choreographed skill set they have worked so hard developing goes right out the window the minute real pressure and real contact, flavored with real emotion and real fear, take place. Well trained people end up doing a bad facsimile of MMA because they have not trained for the actual dynamics and chaos of a fight in earnest. Its usually not because their "art" fails them, but how they train their art fails them - big difference. They make big mistakes, they do goofy things, give up their center mentally and physically, and often lose the benefits their art should afford them: to include keeping off the ground. Watch the early UFCs as man after man simply abandons years of training, to high dan rank, supposedly with muscles and nerves conditioned to perform the various skills they have honed: they toss it all out in favor of flailing strikes, poor and out of balance techniques, and absolute, sheer panic when on the ground. Its not intentional, its a stress reaction to something totally outside of what they have prepared for - not "combat," not even "fighting," but a kind of physically safe and stylistic pantomime of it. Furthermore, the early UFCs were not even real fights - they KNEW they weren't going to be stabbed or shot by the sudden appearance of a weapon. They KNEW that multiple attackers wouldn't be involved,. They KNEW that a referee was there and they wouldn't be permanently maimed or killed - yet their "combative" training simply vanished under real pressure. So, all that just sets the stage... Chances are when it comes right down to it, your technique will probably fail, and you may land right on your kiester ~ so you might as well prepare for it. I would say that at least a third to 50% of serious physical encounters end up at some point with at least one party on the ground or in some situation similar to ground fighting (on a bed, on a couch, getting knocked over onto furniture or other surrounding features, etc.). The more people acting against you, the more likely it will happen. The less warning the victim had, the more likely it will happen. The more brutal the initial onslaught, the more likely it will happen. The fact that being on the ground is so much more dangerous than remaining standing in a real fight should go without saying. But its all the more reason that anyone truly serious about self defense should dedicate a significant portion of their training time to ground strategies, if mainly extricating oneself from bad spots and getting up. That means against skilled opponents - wrestlers, BJJ guys, Judoka - NOT some friends in the dojo who "roll around" every Saturday at open mat and think they understand groundwork. The thread bearing Leblanc’s extended post listed above is posted in this aikiweb post. Judo ~ fits our style. 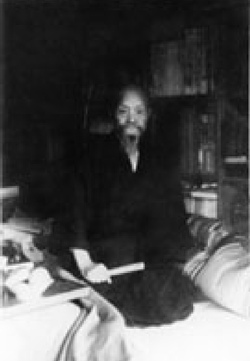 Shodo Morita was well versed in Judo. Systema: Not familiar with it, other than what I’ve read. 90% of All Fights Go To The Ground ~ Saying, “I’m not going to the ground” is naive. “Several years ago while at an aikido seminar, I witnessed 2 younger (mid to late 30's) and very talented / high ranking aikido teachers (one a 4th dan, the other a 5th dan) get into a brawl. They got into a real fight during the seminar while training with one another. Apparently the two sensei had a lot of "history" and hated one another. Things got really ugly and serious punches started flying. Really sloppy, wild punches I might add. They were both swinging for the fences. A few seconds later they were both on the ground doing what looked like really bad ground and pound MMA until they were pulled apart. Not at any point did either one of these high ranking aikido guys do or even attempt anything that vaguely resembled aikido.... and the fight also ended up on the ground. The fact that being on the ground is so much more dangerous than remaining standing in a real fight should go without saying. But its all the more reason that anyone truly serious about self defense should dedicate a significant portion of their training time to ground strategies, if mainly extricating oneself from bad spots and getting up. That means against skilled opponents - wrestlers, BJJ guys, Judoka - NOT some friends in the dojo who "roll around" every Saturday at open mat and think they understand ground work.